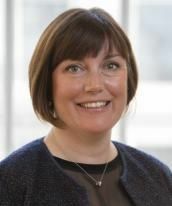 Partner, Energy at CurzonTrinitas Ltd.
Jane Christopherson is a Geology graduate with a Masters degree in Reservoir Evaluation and Management. Her career began as a Reservoir Engineer with PowerGen North Sea from where she moved to CalEnergy. Building on this broad multi-disciplinary experience across the upstream sector in the UK and internationally, Jane specialises in senior technical appointments within energy and natural resources. Jane is also the Energy Practice Group Leader for the IIC Partners.